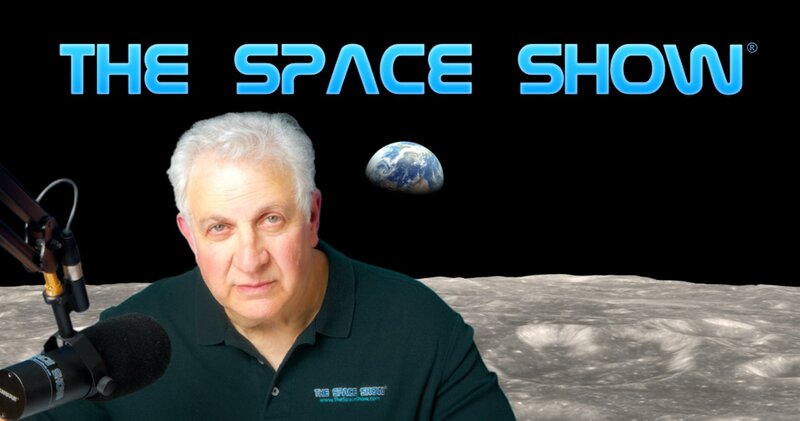 We welcomed John Hunt to the program for this two segment 1 hour 47 minute discussion regarding his interest in space and physics, plus we picked his brain for thoughts on many other important and current space and commercial space issues. This program was part of the new series where from time to time we will be highlighting Space Show listeners, emailers, callers and guests with a Space Show program given their extensive support and participation with the show. Our program with Mr. Hunt was the second in this new series of program guests. We started our discussion with John Hunt by first offering congratulations to JPL for a terrific landing re InSight on Mars. We talked about the InSight mission, the challenges in landing big payloads on Mars and related items. John then took us back into time to Mercury and the early space program which is both the how and when regarding his obtaining his space and science interests. He had several interesting stories to tell us that heled shape his interest including science fiction, interstellar space travel, Faster Than Light Travel, and then discovering relativity and Einstein. His discovery of Einstein and relativity was monumental for him, even proving uncomfortable for him early on but then later he came to appreciate what he was learning. Don't miss this story. Let us know what you think by posting your comments on our blog. Regular listeners know from hearing John Hunt make many calls to many Space Show programs that John has an interest in UFOs and the UFO-ET culture. So I asked him how he came about his interest in this field. John told us that when he was a young kid it was a very popular topic with Life Magazine spreads and other national attention getting publications and programs. He cited a few people that influenced him in the field and why he has continued with interest today. He also suggested a reason behind the "so-called UFO coverup" so don't miss what he had to say on this subject. Feel free to post your thoughts on the topic on our blog. In addition, John started asking about the future of space and what might be our real space potential. He thought we might have reached a plateau. If so, we would need some form of advanced propulsion to break us free from being stuck. He talked about fusion possibilities, then we talked about the discussion that is ongoing regarding mach thrusters and the Woodward Effect. The discussion focused on the efforts of one person who did a simulation and claims that the Woodward Effect is nothing more than background noise. Dr. Woodward has pointed out several flaws and misunderstandings in the simulation work of this person but the argument seems to have a life of its own via Jim's newsletter. There is certainly an interest in a demo project to validate the Woodward Effect and to see if it could be commercially scaled up as right now it is a very tiny effect. John helped us to understand some of the science and physics issues in the back and forth debate but without the demo, most likely the debate will continue as if it stuck in an endless loop format. We then moved on from the Woodward Effect with Mach Thrusters to other exotic propulsion forms including EmDrive. Unfortunately neither John nor I had any current info on EmDrive. We don't know where the research on it stands post the analysis provided earlier in the year by the German research firm. In the second segment, we started with the topic of advanced propulsion but John did not have much to say because the serious projects are few and far between. One of the many listener emails that we got, this one from Bob in Boston, asked why John was so loyal and faithful to SLS and the Gateway. Don't miss how our guest responded to Bob's question. In the process of responding to Bob, he mentioned he was worried and concerned about Elon Musk. Later in this segment, Randy asked him why he had mentioned he was worried about Musk. Don't miss how John answered Randy. However, before Randy's question came up, John mentioned the status of the human spaceflight program and suggested not much was happening. He also mentioned national security space issues including DOD concerns. This prompted me to ask John for his opinion on our need to create a separate military force, the U.S. Space Force. His response to the Space Force question may surprise you so don't miss it. Referring back to Randy and Mr. Musk, John said he thought Musk was over extended and stressed out leading to erratic statements and behavior. He was also concerned that the BFR was so massive that it would be unable to be built as Musk has been describing. He suggested it might be too ambitious and that all of what Musk might be undertaking might be collectively too ambitious. What do you think? Let us know by posting on the blog. Before the program ended, we talked about other topics including the National Geographic TV series "Mars," investing in commercial space, suborbital space development and the business model, then Beth asked John if he intended to submit a video application to fly on a space mission for Space For Humanity, then returning to be a citizen ambassador for space and the Overview Effect. Don't miss what John had to say in response to Beth's question. John summarized his thought for us, talked about fusion propulsion and fusion fuel types with advantages and disadvantages. Don't miss this summary. Please post your comments/questions on TSS blog for this page. You can reach John Hunt through me.